DataPop, a Los Angeles-based startup using big data to deliver custom online ads, has raised a $7 million Series B round from MK Capital, Rincon Venture Partners, IA Ventures, Momentum Ventures and Accelerator Ventures. The company’s technology uses big data techniques such as natural-language processing and semantic association to automatically generate online ads based on what a web user has searched for. 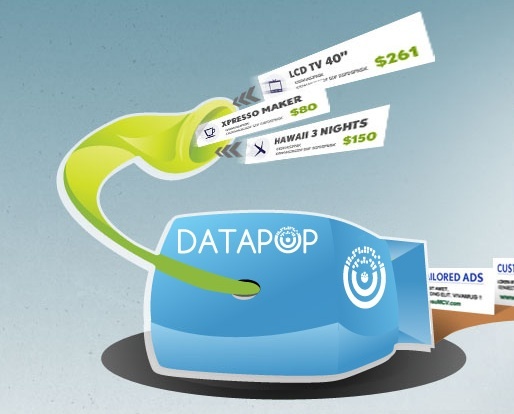 Essentially, the DataPop service works like this: DataPop gathers information on products, services, promotions and other relevant data from customer web sites; it then automatically presents ads for those products, etc., when someone searches for something related on Google (s goog) or Microsoft (s msft); the ads appear as if a human wrote them, not just a collection of keywords. In some ways, DataPop’s service is similar to that offered by BloomReach, only DataPop focuses on search ads rather than on web site content. Regardless, though, DataPop is part of a large collection of startups and established companies trying to leverage big data to revolutionize the accuracy with which marketers can put their messages in front of consumers. According to the press release announcing the funding, DataPop plans to use the money double its headcount this year, including by adding more experts in “big data, semantics and natural language processing.” That’s a smart move, as the competition is all doing the same thing, even going so far as to buy struggling big data startups and acquire their tech and talent. Although it’s a huge market with room for lots of players, it appears as if the marketing service providers that will prosper going forward are those that can make the best use of big data techniques.